Use of Jhpiego’s Helping Mothers Survive package resulted in a 62% reduction in newborn deaths, 47% reduction in retained placenta, 34% reduction in fresh stillbirths and 17% reduction in postpartum hemorrhage (all per 1,000 births and comparing the six-month intervention period to the nine-month post-intervention period). 15 districts and 160 facilities have an increased capacity to deliver high-quality postpartum family services, resulting in over 80,000 couple years of protection for women. 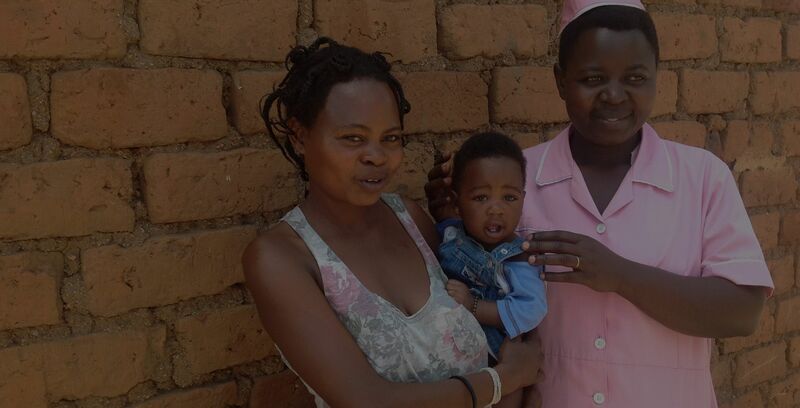 Based on Jhpiego’s successful implementation of the low-dose, high-frequency learning approach, the Ugandan Ministry of Health adopted it as the preferred alternative training approach. With the Ministry, Jhpiego adapted the nutrition curriculum to use this approach and helped roll out the process of cascading training from national to facility levels. In one year, the provision of intermittent preventive treatment of malaria among pregnant mothers at Jhpiego-supported sites increased from 4% to 37%, ensuring the health of pregnant women and their unborn babies. Unexpected, Premature and Unresponsive Triplets—but Today, Healthy! The goal of this five-year initiative, funded by the U.S. Agency for International Development, is to improve the health status of the Ugandan population by reducing childhood and maternal morbidity and mortality due to malaria. To achieve this goal, the program will ensure: 1) implementation of effective malaria prevention programs in support of the National Malaria Control Strategy; 2) implementation of effective malaria diagnosis and treatment activities in support of the strategy; and 3) capacity-building of the National Malaria Control Program, Regional Performance Monitoring Teams and District Health Management Teams to effectively manage and sustain malaria activities. The Challenge Initiative (TCI), which is funded by the Bill & Melinda Gates Institute for Population and Reproductive Health, focuses on scaling up the success in increasing family planning (FP) access under the Tupange Urban Reproductive Health Initiative. TCI aims to assist Kenya, Uganda and Tanzania to scale up FP services to reach additional women and girls over the next three to five years. TCI will break ground in developing a technical assistance model that incentivizes governments and local and global donors to buy into the most successful and high-impact FP interventions, rapidly adapt these interventions to the local context and support counties and districts to efficiently scale them up through targeted technical assistance. For more information, visit here: https://tciurbanhealth.org. This four-year project, funded by the Bill & Melinda Gates Foundation, builds on the PMA2020 project, which used innovative mobile technology to support low-cost, rapid-turnaround surveys monitoring key health and development indicators. PMA is enhancing this survey platform to generate high-quality data and ensure that governments, donors, managers and advocates use this data to make decisions regarding family planning programs. In addition to scaling up the survey platform for more widespread use, this project supports expanding it to include additional technical areas. Co-led by Jhpiego and the Bill & Melinda Gates Institute for Population and Reproductive Health, this project is operational in several African and Asian countries, including Uganda. The Reproductive Health Supplies Coalition (RHSC) is supporting Jhpiego to examine the extent to which consumable and equipment unavailability affect achievement of global family planning goals. In collaboration with RHSC’s Systems Strengthening Working Group, Jhpiego is conducting a comprehensive examination of the insufficient availability of essential family planning consumables and equipment, including exploratory consultations in Nepal and Uganda, and developing a transformational white paper based on results. The white paper will facilitate the design and implementation of innovative solutions by providing clear analysis, documentation and meaningful understanding of the challenge. The analysis brings together fragmented global knowledge and perspectives to establish a shared evidence base and generate a collective urgency for action to address supply-related inequities, including ways in which consumable and equipment shortages disproportionately affect marginalized groups.